The Taste of Happiness: New York Style. I recently went to New York with my family to learn about journalism from a real reporter, watch a Broadway show and visit museums and historical sites like the Statue of Liberty. 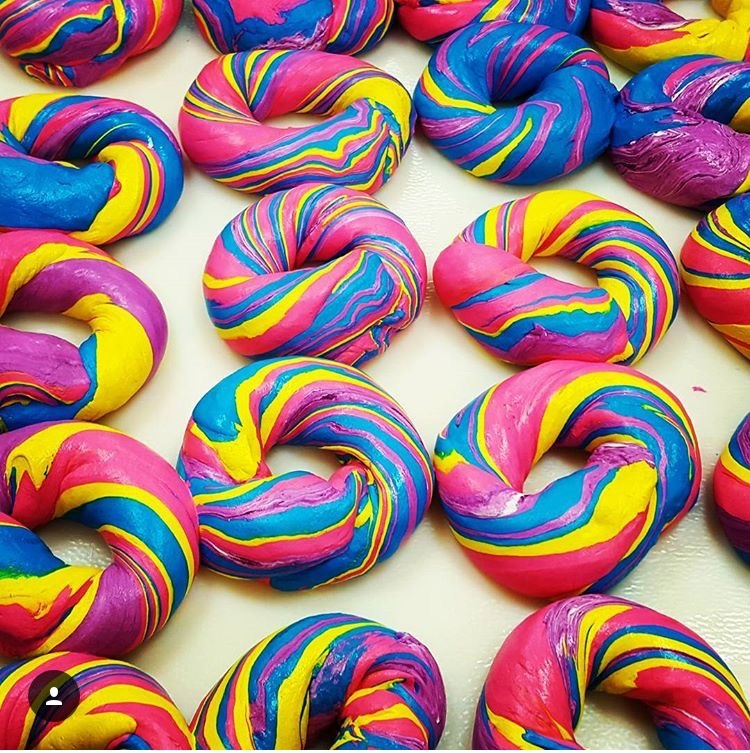 My cousin Sia lives in New York and once I arrived at our Manhattan hotel, she started sending me Instagram pictures of rainbow-colored bagels. I had never seen such yummy looking bagels. They were rainbow!!! If a unicorn was a bagel, this is the bagel it would be. Sia came to take us to Williamsburg, Brooklyn to go the bagel store. Guess what? It’s really called the Bagel Store. 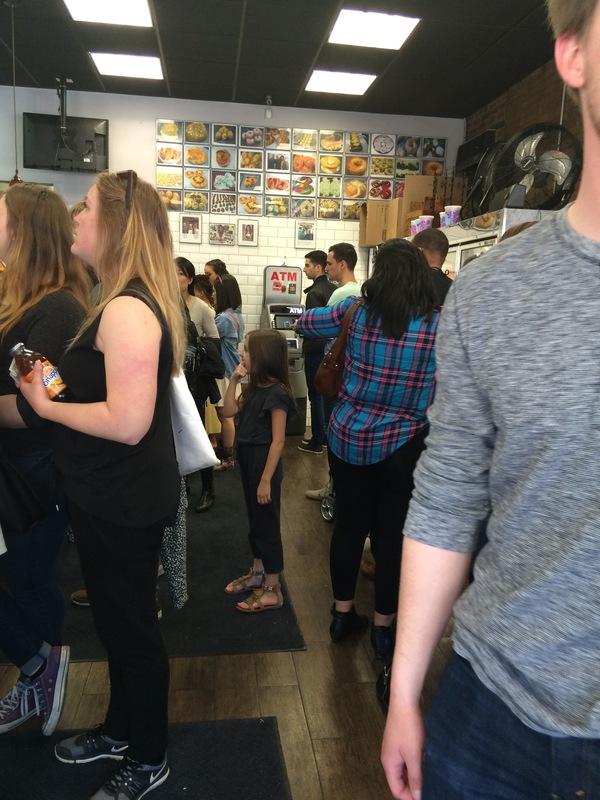 We could barely enter because the line twisted and turned around the entire store making it very crowded. After waiting about thirty minutes we finally got to order. 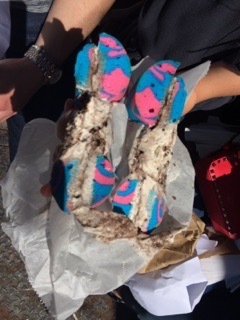 I ordered the cotton candy bagel with Oreo cream cheese. My brother ordered the Coca-Cola bagel with Oreo cream cheese. 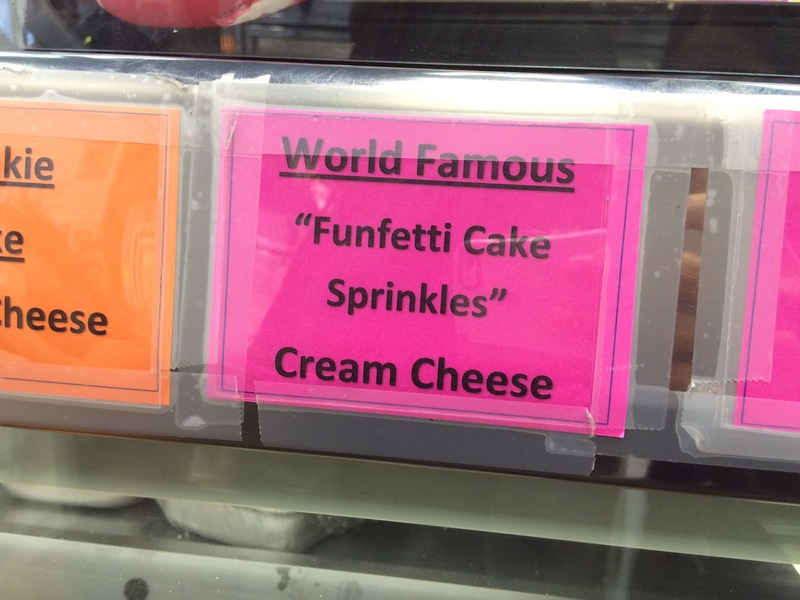 My mother had the world-famous confetti bagel with confetti cream cheese. My cousin Sia had a raspberry rainbow cream cheese bagel with Oreo cream cheese. Her boyfriend, Nick, had the blueberry bagel with confetti cream cheese. My first bite of this beautiful bagel and all I tasted was joy…happiness…this is what cuteness and goodness tastes like!! It was sunshine, rainbows and love all in my mouth. It was the way I imagined sparkles and glitter tasting. All of us loved our bagels so much, it was hard to share. But wanting to try other flavors, we each passed our bagels around. Nick’s blueberry bagel won first prize for flavor. My cotton candy bagel won first prize for beauty. 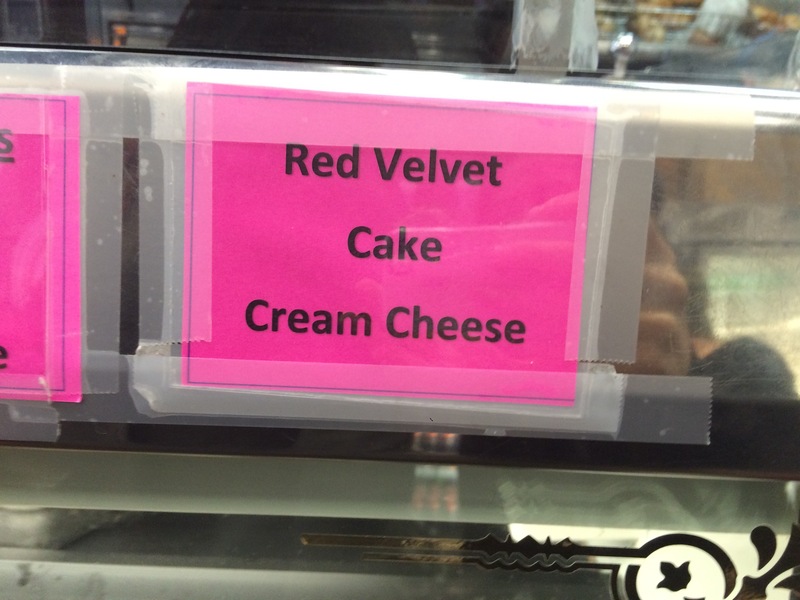 I bet this is the food of unicorns. Next time you’re visiting New York, you’ll likely visit the Empire State Building, Statue of Liberty, Broadway, Times Square, the Rockefeller Center or any of the museums, but The Bagel Shop, is something everyone must also experience. Who can’t use a bite of pure happiness, New York Style. 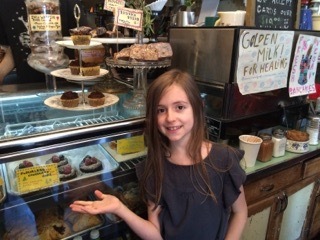 New York was Maureen’s favorite place to visit! Hope you had a great time!